If you want to find out more about Cash Lady, this is the section for you. Use the shortcuts below to jump to our Frequently Asked Questions, which should answer most of your queries, or find out how to contact us if you've got a further question or are just looking for some help applying. If you’re 18 or over, employed with a regular income and a UK resident with a UK bank account, yes you can. Is CashLady for women only? No, It’s exactly the same for men and women. Is CashLady a lender or a broker? We’re a licensed, FCA regulated, broker. We will never take a fee from our customers and we only work with lenders directly - so nobody else will. This is our commitment to you. Go to our application page, complete your details (including your home, work, monthly income and regular expenses along with your banking details) and we’ll automatically forward your application to the lenders we work with. If you are accepted by one of them, we’ll send you the details (and forward you to their website) so you can seamlessly complete the application directly with them. If your online loan application is accepted, you will normally receive your cash within 24 hours. How will you choose the right lender for me? 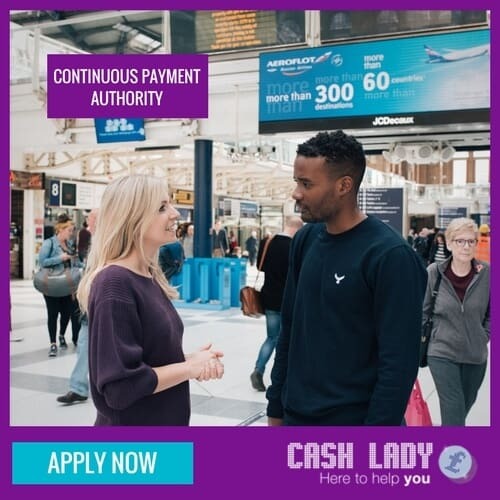 When you apply for a loan with Cashlady, our system will quickly present your credit application to our panel of UK based loan providers, Each lender will have their own, unique decision criteria based on a number of important factors. Because our lenders are all FCA authorised, it means that they must all adhere to the FCA rules regarding pricing and affordability. We know that most of our customers prioritise a successful loan decision above all else. Based on your requirements, information submitted and the lenders' criteria of our lending partners, we make sure your application is matched to the loan provider most likely to issue you the requested funds. How does CashLady find me a loan? At Cashlady, we use an efficient decision tree that quickly matches your loan application with the right lender. When building our online platform, we made sure that routing decisions were being taken in the best interests of the customer. Because our system instantly sends your loan request to several lenders at once, the acceptance rates are normally much higher and the results are much faster. You can normally expect an approval or rejection based on the responses we get from our lenders in less than 2 minutes. What is the criteria when applying for a loan? 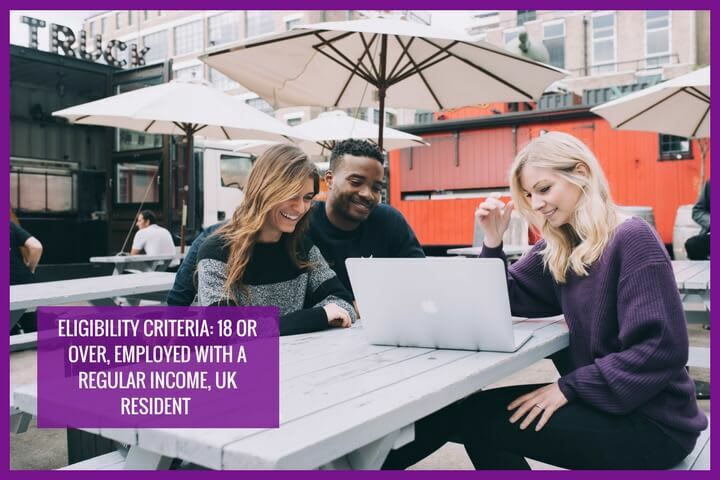 To be eligible for a loan through Cashlady, you must be at least 18 years old and be a UK resident. You must have a valid mobile number and email address as this will be required to read and confirm your loan agreement. It is also required so the lender can get in touch with you. You will also need to have a debit account as this is where the funds will be transferred to and where the collections will be made from. Ideally, to be considered for a short term loan, you need to be in full-time or part-time employment -earning at least £500 per month. Being employed means that the loan repayment will coincide with your next payday and you will have sufficient income to repay the loan on time. Loan applications are not usually accepted from those who are unemployed. What checks are carried out by short term loan providers? The lenders we partner with are required by law to assess affordability for each loan application prior to approval. These methods include running credit checks to get an idea of your current debt and how well you have managed other types of loans or financial commitments in the past. This information will be provided by credit reference agencies such as Experian, Equifax or Callcredit and when the lender retrieves this information, it will leave a small footprint on your credit record. In addition, short term loan providers will try to understand how much you can afford to borrow and repay by confirming your employment and salary – so you may be required to provide proof of this. Lenders may also need confirmation that the information you supplied on your application form is correct and they will verify this information with a phone call or email. If we cannot find a lender that will accept your loan application, we will present you with some alternative options, depending on your circumstances. In addition, in this article we gathered a few tips that may help you to get your loan application approved. Will a short term loan affect my credit score? As with any other type of personal loan, short-term or payday loans will appear on your credit report. This is why paying your loan repayments on time is so important. If you are unable to make your loan repayment(s) on time it is very important you contact your lender directly and ask for help in order to avoid a negative impact on your credit file. If you do have a negative impact on your credit file, it may prevent you from obtaining loans or other forms of credit in the future. Lenders share the details of your loan with credit reporting agencies such as Callcredit, Experian and Equifax. Should you wish to do so, you are entitled to get your statutory report from any of them for £2.00. For more information, read about the potential impact of short term loans on your credit report. Your loan repayments will be collected from your debit account on your pay date via a process known as Continuous Payment Authority. This process enables lenders to collect the money from your bank account automatically, saving you the hassle of setting up a direct debit or calling up to repay over the phone. Importantly, this process means you should never miss a loan repayment and help protect your credit score. Lenders can only try to access your debit account a maximum of two occasions on your repayment date. To ensure that there are no surprises, they will normally send you reminders so you know when repayment is due. If you find that you are in a position to repay your loan early, you can always call your lender to discuss your options. Depending on your loan provider, all you should need to do is make contact by telephone or log onto their website portal so you can make a loan repayment online. It will usually be cheaper to clear your debts early, as you will only be charged the daily interest that you have had the loan open for. When taking out any type of personal loan, it is always strongly advisable to try and avoid non-payment. When you apply for any type of short term credit you should calculate both your monthly residual income and your future ability to repay the loan in full. If you fail to make your loan repayment on time, you may be charged a default fee of up to £15.00 (maximum). This fee is dependent on the lender and details of individual fees can be found within the loan agreement. If you cannot repay your loan, a note of any failed payments may be sent to a credit reference agency and this may have a negative impact on your credit score. If you think there might be an issue with an upcoming payment, the best thing to do is contact your lender as soon as possible or visit MoneyAdviceService.org.uk. How does CashLady make money? As an FCA regulated credit broker, we do not attempt to take money from you at any point, no matter what. We get paid by lenders for sending customers, so we don’t try to get money from you as well at any point. Because a short-term loan is generally for a lot less than a year, the annual percentage rate is very high. This can be confusing at times, but it’s worth looking carefully at the costs of any loans you are offered. See our Charges page for more information. How long does it take the money to come through? It varies between lenders and can be as little as ten minutes or as much as a few days. Even the lenders that take the longest often have an optional same-day or same-hour charge if you want the money faster. How do I set up loan repayments? Each lender will have their own repayment policy which you will be able to review before you accept any offers from them. While they vary, most lenders will usually set up repayment to be made automatically using your bank details. Some lenders will also use continuous payment authority. What is 'continuous payment authority'? If repayment is automatically set up, the lender will attempt to withdraw the repayment amount on the date you agree with them. 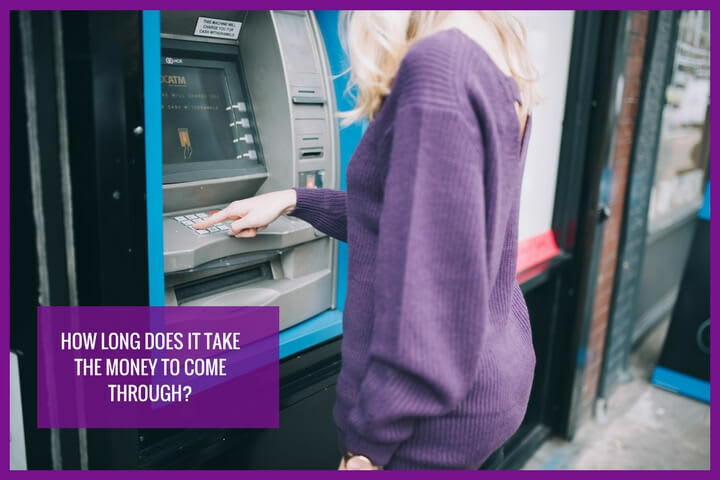 If the cash is not in the account when they try to do this, continuous payment authority allows them to make a limited number of repeat attempts to see if the money is there at a later point. Continuous payment authority can be cancelled by contacting the lender or your bank, although it is recommended that you make alternative payment arrangements. Can I cancel/ repay my loan early? Each lender will have their own cancellation policy and you will need to contact them directly to cancel. If the loan has already been taken out, you will need to pay the interest for the amount of time that the loan has been active for. Some lenders charge interest on a per-day basis, whereas others will charge a flat rate for the month, so in some cases, it may not save you any money. We specialise in financial products and work with some of the biggest lenders in the UK and worldwide. We are one of the biggest, and most successful, payday loan brokers in the UK. If you would like to work with us, or even just find out more, you can email us at lenders@moneygapgroup.com . For any media enquiries, including interview requests, please contact us media@moneygapgroup.com. We aim to give you a full answer within two working days.